066) How to Make Your Buried Weirdness Work FOR You! Here’s the deal, letting your weirdness out is like shinning your light! Suppressing your weirdness is dimming your light. BUT it can be easier said than done to let your weirdness out! 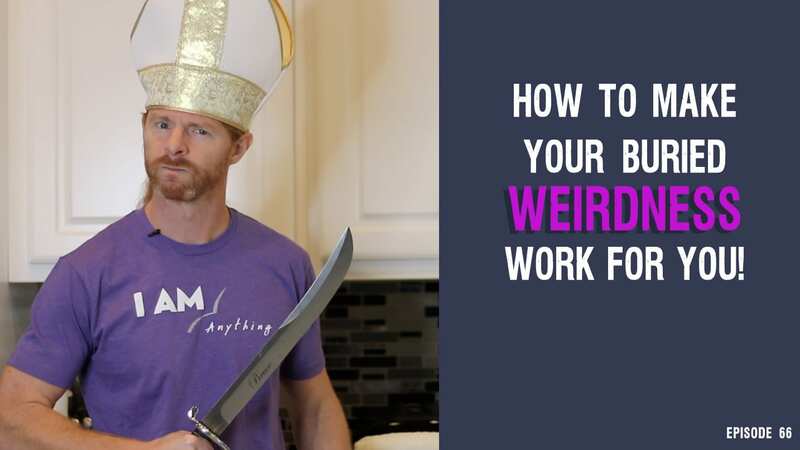 You’ll learn, as I hold a sword the whole time, my three step process for bringing buried weirdness up from the underground into the light of day where it can start to add more value, joy, fun, and connection . . .